First I drew out the project, being careful to connect endpoints and indicate where I wanted to fill in large blocks of area with dark once digitized. Here's the fully vectorized and cleaned up drawing, ready to be colored in! I decided to print it out on two types of paper: regular copy paper and cardstock. 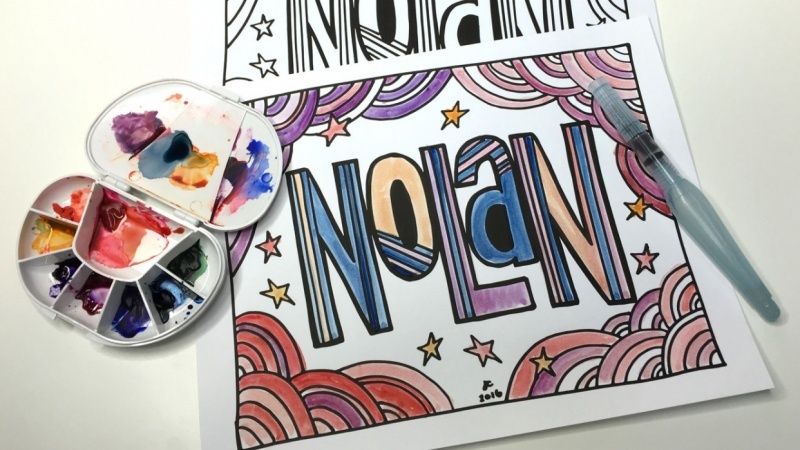 The cardstock was perfect to try watercolor on my personalized coloring book page. Have fun with this class!